Do You have a book in you? Would you like to reach more people through becoming an author? In this episode Tony and Angus sat down with Dr Jennifer Barham Floreani - a self published author and they found out the wins and challenges of writing a book. In this episode you’ll learn…. - Should You Self Publish? - The things to look out for when embarking on writing a book. - Making sure your message is one that resonates with your audience. 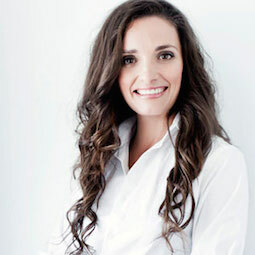 Dr Jennifer Barham-Floreani, chiropractor and author of the Best-Seller “Well Adjusted Babies“, is a published authority on paediatric health and holistic parenting. “Well Adjusted Babies” — is now referred to as ‘the new bible for pregnancy, childbirth and beyond’ for families across the globe. She regularly appears on television and writes for various parenting and health magazines. Jennifer’s career has been dedicated to encouraging the “health literacy” of families. Due to her tireless efforts in this area, she has been awarded Victorian and Australian Chiropractor of the Year and Woman Chiropractor of the Year (WCWC). She was recently elected to the Editorial Review Board for the Chiropractic Journal of Australia. As a mother of four and health practitioner, Dr Jennifer has become an authentic guide for couples and families and is able to share her experience, research and inspiration to help parents raise happy, healthy children. Jennifer’s work is respectful yet thought provoking and encourages parents to define their own health culture. The material she presents is both informative and entertaining as she shares the highs and lows of living amidst a testosterone filled household. As always, her pieces are written with a heartfelt honesty and raw emotion that nourish the soul. Previous Post Tim Robards – The Bachelor Shares How He Took His Message To The World Next Post 6 Pillars To Marketing Success In 2019.